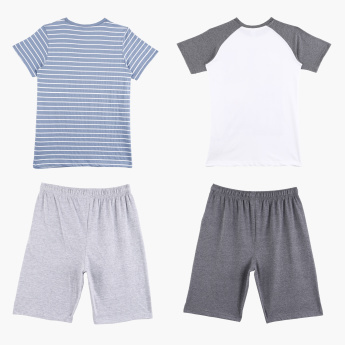 Perfect for everyday use, this set of two t-shirts and shorts is made from quality fabric. 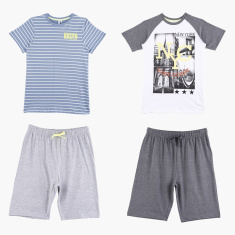 The t-shirts sport alluring prints that will make your boy stand out. With elasticised waistbands, the shorts lend a desirable fit.